Blame Instagram, but I genuinely feel like I'm the only person on the planet right now who isn't in the Maldives. Some influencers might have on beautiful bikinis and glam cover-ups, but we still have 13-tog duvets. While we're still needing coats and boots, we can still join the jet set by planning our own getaway wardrobes. It's only just officially spring, but I'm already plotting my holiday look of the distant future and/or for when the weather picks up here. The main player? Summer dresses, of course. The new-season stock is already available thanks to the cruise collections catering to winter sun holidaymakers (if you're lucky/smart enough to have booked a trip, this gallery will be particularly helpful). As such, I've already started saving items across all of my favourite accounts—from ASOS to Net-a-Porter. 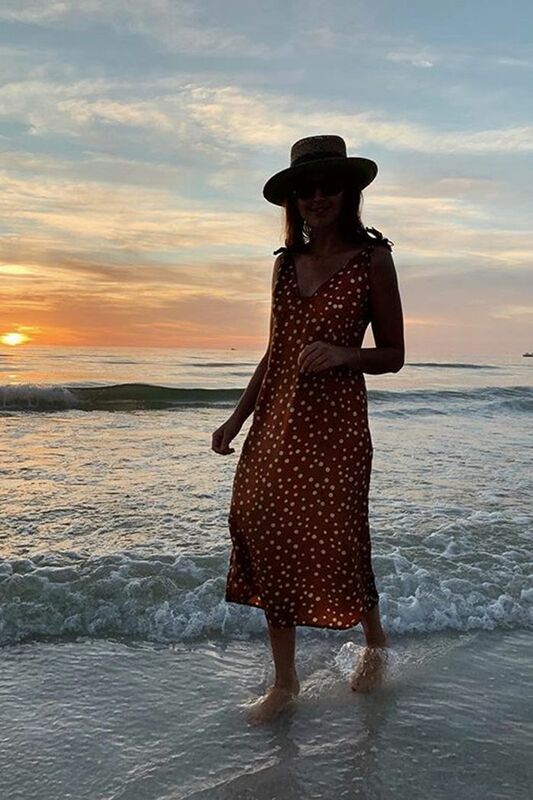 From the prints, shapes and brands worth investing into the styles that work both home and away, I've made an edit of the 20 summer dresses you should consider for 2019. I'm getting all the inspo on how to wear polkas from Darja. This looks so good with boots or sandals—at home or away. Get your raffia accessories at the ready. 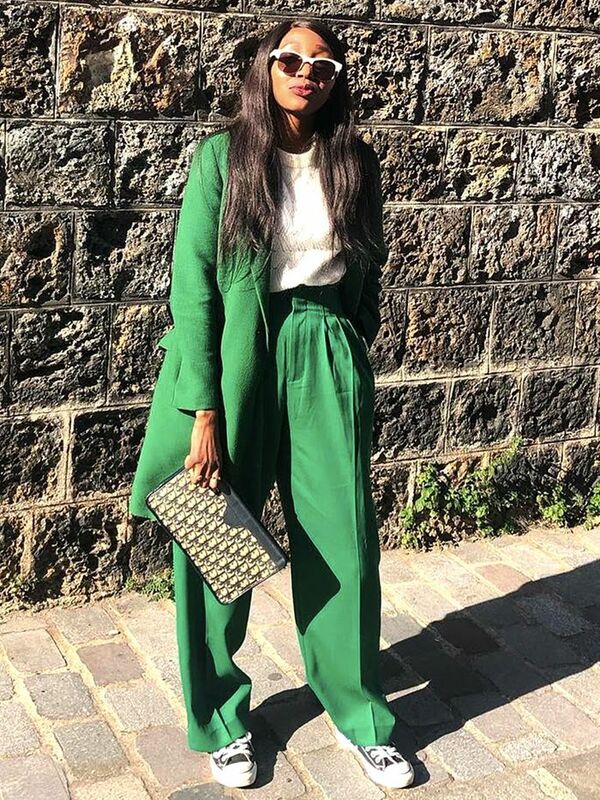 Style Notes: Shades of green have been widely popular of late. From lime to sage, this time, we're drawing attention to the deeper hue as seen on Ellie in the Hellessy belted dress. Team with raffia accessories to be beach-smart and switch to golden jewels for evening. I can already see this with a basket bag at the beach bar. The pleats create a dreamy silhouette. That's your wedding guest dress sorted. I'll wear this with mules and statement earrings. Style Notes: Team Who What Wear are big fans of the prairie dress trend, and we're not the only ones. Celebs including Florence Welsh and Alexa Chung have already backed the Batsheva style Aurora is wearing here. This dress will bring you so much joy every time you wear it. That's your evening look sorted. It's also in a key colour so you can tick off two trends in one. Style Notes: Statement sleeves are the key to creating 2019's silhouette. Make like Jessie and team with a beaded bag and matching hair clip—that's one way to tick off all the micro trends in one full swoop. The chicest statement sleeves belong to Rixo (and you, if you buy it). You can't go wrong with a LWD. A dream dream dress for minimalists. We can't cope with how amazing this looks on. Style Notes: We know what you're thinking: If you go on holiday at this time of year, you'll still have ages before you can re-wear summer dresses, right? Wrong. If you opt for a dress that's easy to layer, you've got the answer to shopping savvy. 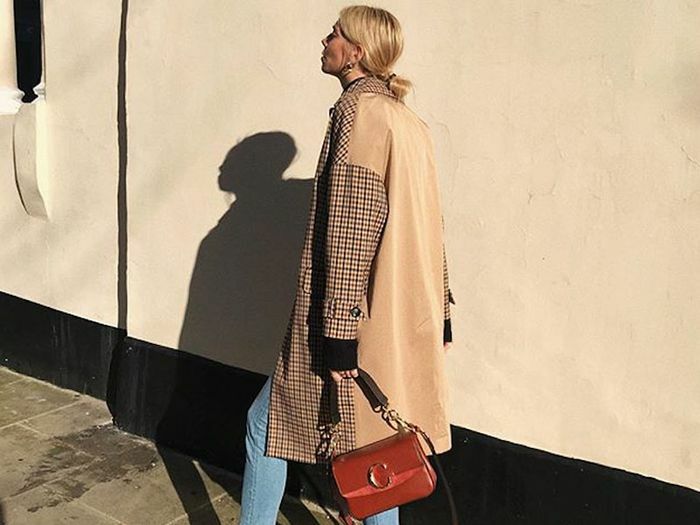 Look for styles that also work with tights, ones you can layer over polo-necks and options that look just as good with boots as they will with sandals. This dress is knitted and long, so it can work during colder months. The fabric is quite light, though, so it's perfect for holiday evenings. Zebra print is made even more statement in a hot orange hue. Beach or brunch, it'll work in all climates.